On January 30th, Lexus announced the LEXUS LF-LC GT “Vision Gran Turismo”. This car is planned for distribution in a free update for the PlayStation®3 exclusive title Gran Turismo 6 due to be released in spring 2015. In the memorable race season of 2014, Lexus entered the new RC F GT500 in the Super GT GT500 Class and fought for the series title up until the very last race. 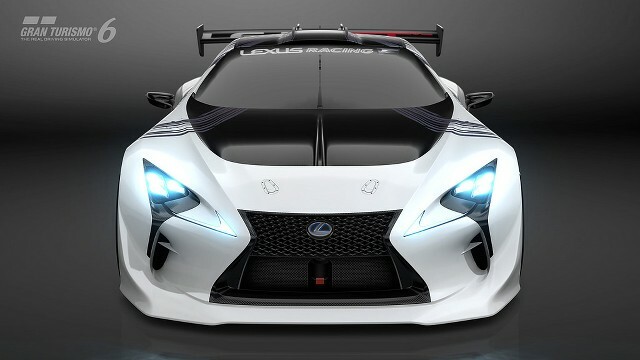 And as a new race activity for the following year of 2015, Lexus plans to enter the RC F GT3 into the GT3 category, a category that serves as a gentlemen’s race while simultaneously being the ultimate manufacturer’s championship series. 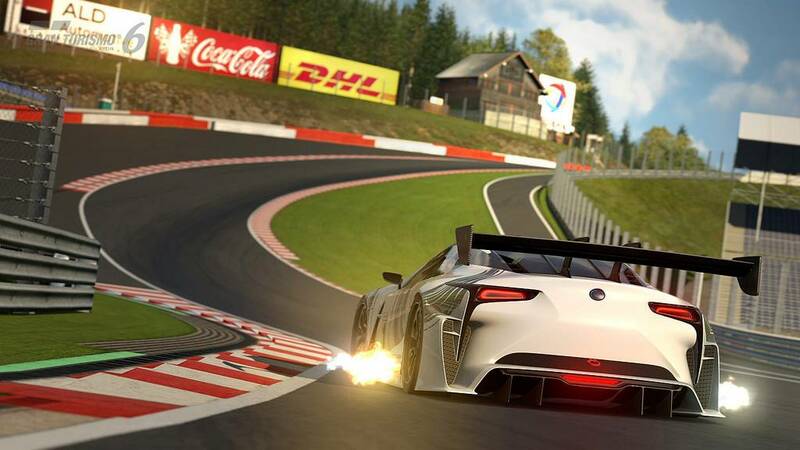 On the backdrop of the racing activity by Lexus, the LEXUS LF-LC GT “Vision Gran Turismo” was developed to answer fans who “want to race world competitions in their dream car”. Design and development was undertaken targeting entry in races such as the Super GT and the Nürburgring 24 hour race. The Luxury coupe concept LF-LC base model was a future study model by Lexus announced at the 2012 Detroit Motor Show. Details of this car designed by CALTY DESIGN includes many features that evoke emotion, such as the shape of the tail lamps inspired by afterburners of a jet aircraft. 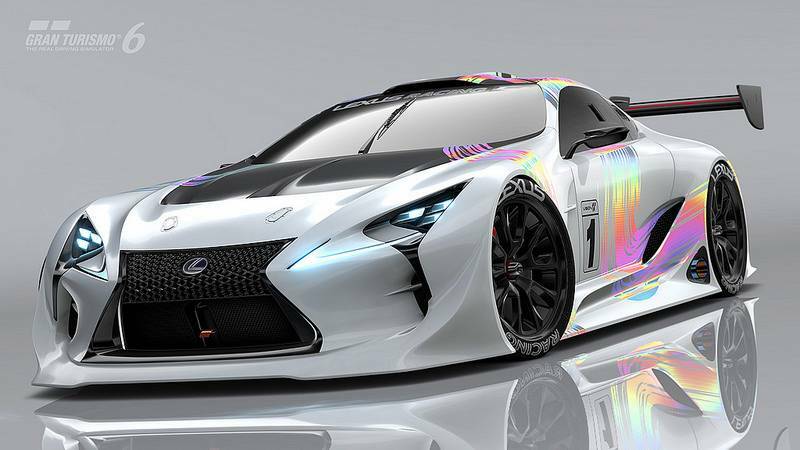 Based on the LF-LC, avant-garde expressions based on the design philosophy of Lexus by CALTY DESIGN was infused with the real world approach of Lexus racing. As a result, the LEXUS LF-LC GT “Vision Gran Turismo” was born as a beautifully sculptured and performance-oriented GT Car. Motorsports has the ability to draw people to it, being a sport that draws upon raw passion. 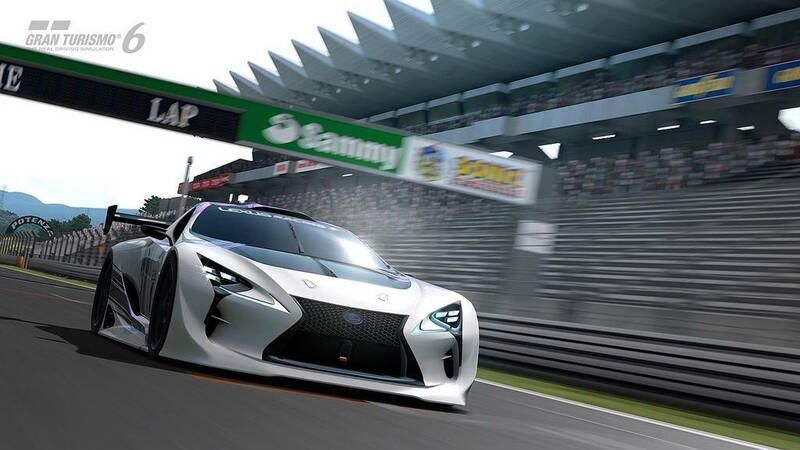 The pure white body of the LF-LC GT “Vision Gran Turismo” contains in its brush strokes the resonating exhaust tones, quickening pulse and moments of excitement that attracts racing fans. The LEXUS LF-LC GT “Vision Gran Turismo” born from the passion for racing, is a car that will fulfill the dreams of Gran Turismo fans. Polyphony Digital just revealed the Alpine Vision Gran Turismo, and a new presentation is already ongoing. 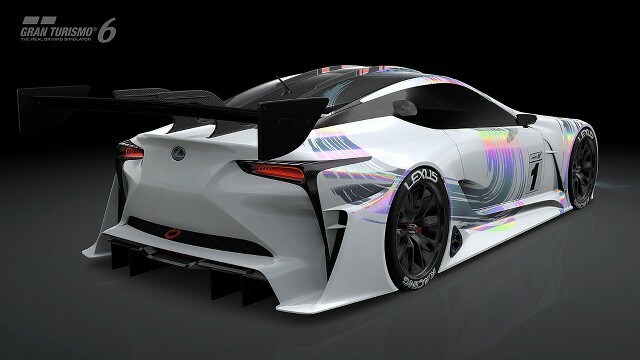 With this digital version of the concept car, Lexus hinted that the real GT3 Racing version of the LF-LC could have similar looks.